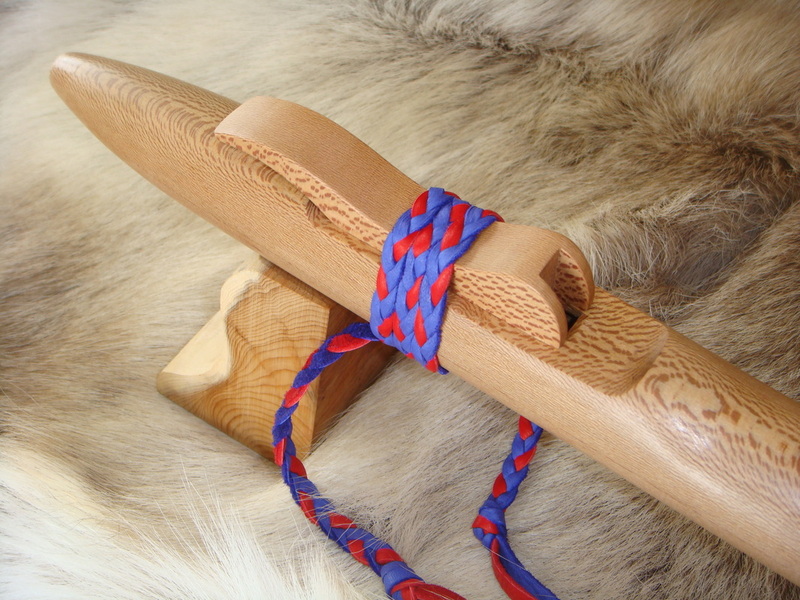 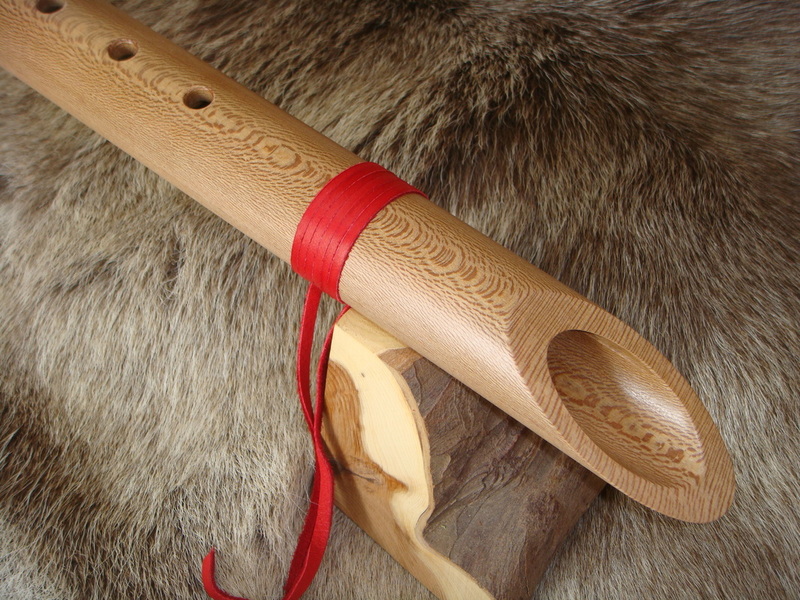 LONDON PLANE IN THE KEY OF "F"
Info:- Native American Style Flute made from London Plane, with a London Plane bird. 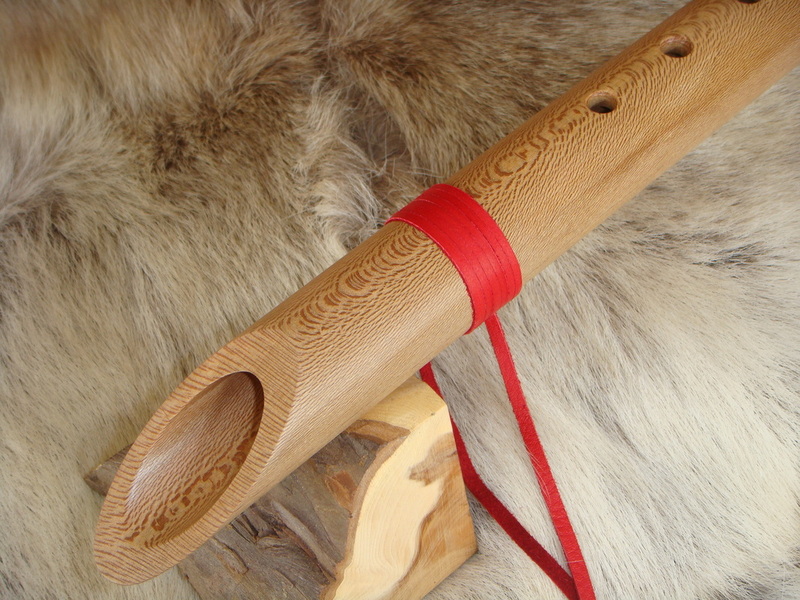 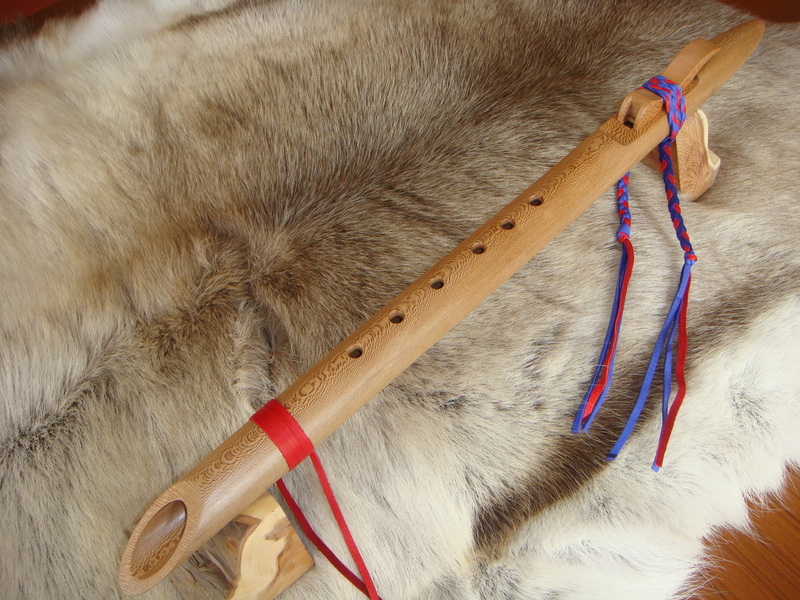 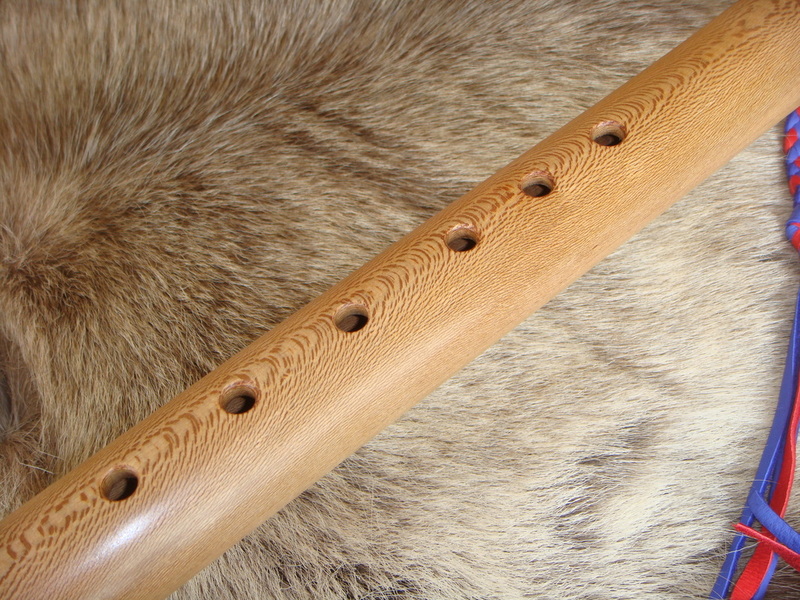 Another beautiful flute from Woodpecker Flutes, made by hand from London Plane and in the key of "F", it is 65cm long, the bore is 1" and it is a 6 hole flute, the distance between playing holes is as follows (hole 1 being furthest from the mouthpiece). 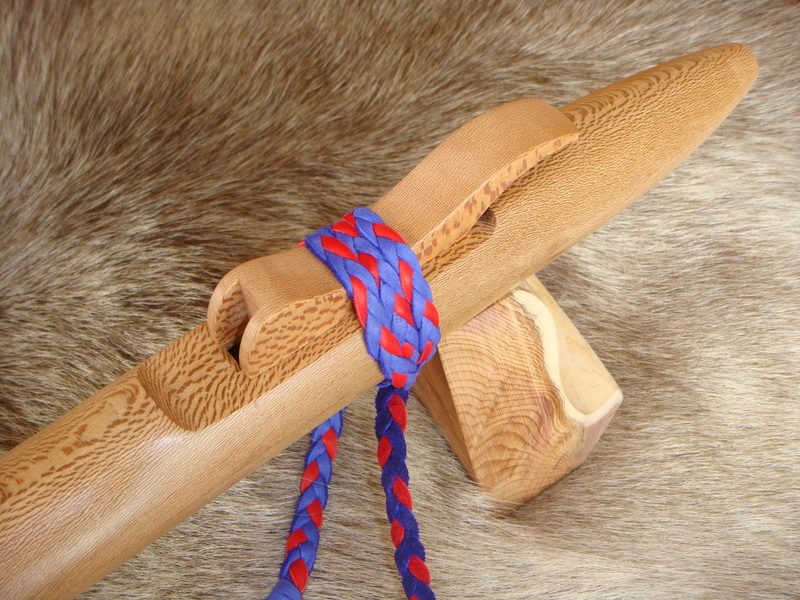 1-2=2.8cm, 2-3=2.8cm, 3-4=3.5cm, 4-5=3cm, 5-6=3cm. 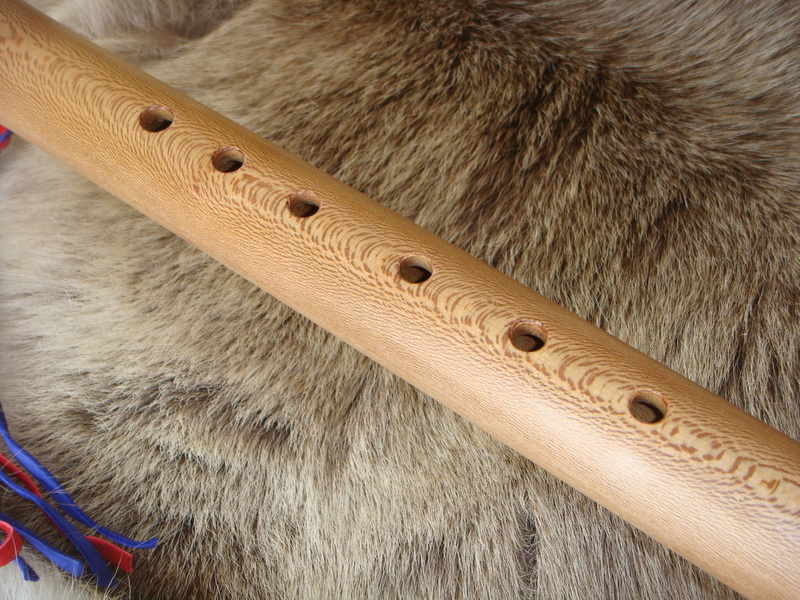 The playing holes are inline, it has a sloped end and has been decorated with red and blue deer lace.